What do I need to know about insulin treatment for diabetes mellitus? 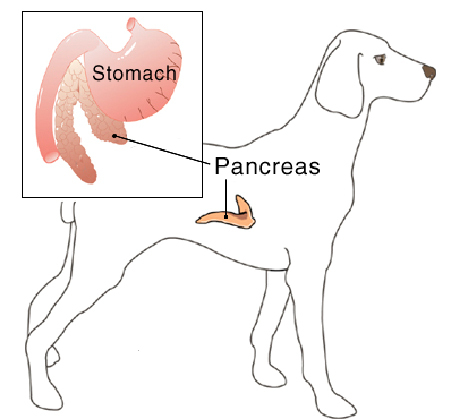 In diabetic dogs, the main treatment for regulating blood glucose is the administration of insulin by injection. Dogs with diabetes mellitus require one or more daily insulin injections, and almost all require some sort of dietary change. Although the dog can go a day or so without insulin and not have a crisis, this should not be a regular occurrence; treatment should be looked upon as part of the dog's daily routine. This means that you, as the dog's owner, must make both a financial commitment and a personal commitment to treat your dog. If are out of town or go on vacation, your dog must receive proper treatment in your absence. Initially, your dog may be hospitalized for a few days to deal with any immediate crisis and to begin the insulin regulation process. The "immediate crisis" is only great if your dog is so sick that it has quit eating and drinking for several days. Dogs in this state, called diabetic ketoacidosis, may require a several days of intensive care. Otherwise, the initial hospitalization may be only for a day or two while the dog's initial response to insulin injections is evaluated. At that point, your dog returns home, where you will continue to administer medication. At first, return visits are required every three to seven days to monitor progress. It may take a month or more to achieve good insulin regulation. Your veterinarian will work with you to try to achieve consistent regulation, but some dogs are difficult to keep regulated. Consistent treatment is a vital component of the proper management of the diabetic dog. Your dog needs consistent administration of insulin, consistent feeding, and a stable, stress-free lifestyle. Although it is not essential, your dog should live indoors to minimize uncontrollable variables that can disrupt regulation. "You may be pleasantly surprised at how easy it is and how well your dog tolerates the injections." 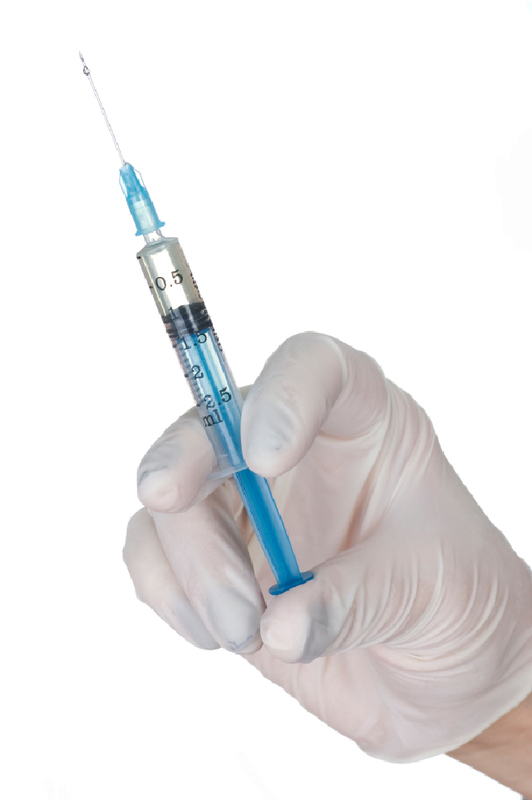 Many people are initially fearful of inflicting pain or harm by giving insulin injections. However, this fear is unfounded, since the disposable injection needles are extremely sharp and cause minimal pain, the insulin does not sting or otherwise hurt on injection, and the injections are given under the skin in areas where it is impossible to damage internal structures. Once you are shown how to give them, you may be pleasantly surprised at how easy it is and how well your dog tolerates the injections. Insulin is a hormone that will lose its effectiveness if exposed to direct sunlight or high temperatures. It should be kept in the refrigerator, but it should not be frozen. If you have any doubt about the storage of your pet's insulin, it is safer to replace it rather than risk using ineffective insulin. Insulin is safe as long as it is used as directed, but it should be kept out of the reach of children. 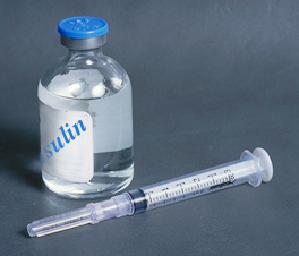 Insulin comes in an airtight bottle that is labeled with the insulin type and the concentration. It is important to make sure you match the insulin concentration with the proper insulin needles. Insulin needles show their measurement in "units per ml", which must correspond to the concentration of the insulin you are using. There are two common forms of insulin and corresponding syringes: U-100 and U-40. Your veterinarian will instruct you on which type of insulin you are using and which type of syringe you should use. How should I draw up the insulin? Before administering the insulin, you must mix the contents. Be sure to roll it gently between your hands; do not shake it. The reason you do not shake insulin is to prevent foam formation, which will make accurate measuring difficult due to the tiny air bubbles. Some insulin will have a strong tendency to settle out of suspension. If it is not shaken properly, it will not mix well and dosing will be inaccurate. "The trick is to mix it vigorously enough to blend it without creating foam." Therefore, the trick is to mix it vigorously enough to blend it without creating foam. When you have finished mixing the insulin, turn the bottle upside down to see if any white powder adheres to the bottom of the bottle. If so, more mixing is needed. 1. Remove the cap from the needle, and draw back the plunger to the appropriate dose. In order to ensure that you have the correct amount of insulin in the syringe, make sure that it starts at the "0" on the syringe barrel, and that the edge of the plunger nearest the needle is on the correct unit mark on the barrel. Before injecting your dog with the insulin, check that there are no air bubbles in the syringe. If you get an air bubble, draw twice as much insulin into the syringe as you need. Then withdraw the needle from the insulin bottle and tap the side of the barrel of the syringe with your fingernail to make the air bubble rise to the tip of the syringe. Gently and slowly expel the air bubble by moving the plunger upward. When you have removed all of the air bubbles, double-check that you have the correct amount of insulin in the syringe. 1) Hold the syringe in your right hand (if you are right-handed). 2) Have someone hold your dog while you pick up a fold of skin from somewhere along your dog's back in the "scruff" region of the neck with your free hand. Try to pick up a slightly different spot each day. 3) Quickly push the very sharp, very thin needle through your dog's skin at about a forty-five degree angle. This should be fast, easy and painless. However, take care to push the needle through only one layer of skin and not into your finger or through two layers of skin and out the other side. The latter will result in injecting the insulin onto your dog's haircoat or onto the floor. The needle should be directed parallel to the backbone or angled slightly downward. 4) To inject the insulin, place your thumb on the plunger and push it all the way into the syringe barrel. If you are unsure if you administered it correctly, or if you "missed," do not administer additional insulin. Simply resume your normal schedule and give the next insulin injection at the regular time. 5) Withdraw the needle from your dog's skin. Immediately place the needle guard over the needle and place the used needle and syringe into a puncture-resistant container. Be aware that some communities have strict rules about disposal of medical waste material so don't throw the needle and syringe into the garbage until you know if this is permissible. It is usually preferable to take the used needles and syringes to your veterinary clinic or local pharmacy for disposal. 6) Stroke and praise your dog to reward it for sitting quietly. Should I sterilize the skin with alcohol before giving the injection? 1) The sting caused by the alcohol can make your dog dislike the injections. 2) Due to the nature of the thick hair coat and the type of bacteria that live near the skin of dogs, brief swabbing with alcohol or any other antiseptic is not effective. 3) Because a small amount of alcohol can be carried through the skin by the needle, it may actually carry bacteria with it into the skin. 4) If you have accidentally injected the insulin onto the surface of the skin, you will not know it. If you do not use alcohol and the skin or hair is wet following an injection, the injection was not done properly. "It is possible for the dog's insulin requirements to suddenly change." 1) When the insulin dose is too high. Although most dogs will require the same dose of insulin for long periods of time, it is possible for the dog's insulin requirements to suddenly change. However, the most common causes for change are a reduction in food intake and an increase in exercise or activity. The dog should eat before giving the insulin injection, because once the insulin is administered it can't be removed from the body. If your dog does not eat, skip that dose of insulin. If only half of the food is eaten, give only a half dose of insulin. Always remember that it is better in the short term for the blood sugar to be too high than too low. 2) When too much insulin is given. This can occur because the insulin was not properly measured in the syringe or because two doses were given. You may forget that you gave it and repeat it, or two people in the family may each give a dose. A chart to record insulin administration will help to prevent the dog being treated twice. The most likely time that a dog will become hypoglycemic is the time of peak insulin effect (5-8 hours after an insulin injection). When the blood glucose is only mildly low, the dog will act very tired and unresponsive. You may call it and get little or no response. Within a few hours, the blood glucose will rise, and your dog will return to normal. Since many dogs sleep a lot during the day, this important sign is easily missed. Watch for any subtle signs of hypoglycemia. It is the first sign of impending problems. If you see it, please bring your dog in for blood glucose testing. If your dog is slow to recover from this period of lethargy, you should give it corn syrup (one tablespoon for every twenty pounds (approximately 15 ml/10 kg) by mouth). If there is no response within fifteen minutes, repeat administration of the corn syrup. If there is still no response, contact your veterinarian immediately for further instructions. This is an emergency. If severe hypoglycemia occurs, a dog may have seizures or lose consciousness. Ultimately, untreated hypoglycemia will lead to coma and death. This is an emergency that can only be reversed with intravenous administration of glucose. If it occurs during office hours, take your dog to the veterinarian's office immediately. If it occurs at night or on the weekend, call your veterinarian's emergency phone number for instructions. Give the first injection of insulin of _____units at about _________ AM / PM. ___If your dog shows symptoms of low blood sugar, give ______________ tbsp (______mls) of corn syrup, based on your dog's body weight of ____________. ___Following regulation in the hospital, measure the urine glucose two consecutive days, then twice weekly for the next two weeks. If glucose is not detected, measure the glucose two consecutive days every other week or as directed. ___Return to our hospital for a blood glucose test in one month. This should be done about five to eight hours after an injection of insulin. If two injections are given each day, be sure the test is done before the evening injection. ___Return to our hospital for a fructosamine test in one month. For this test, the time of day is not important and fasting is not necessary.